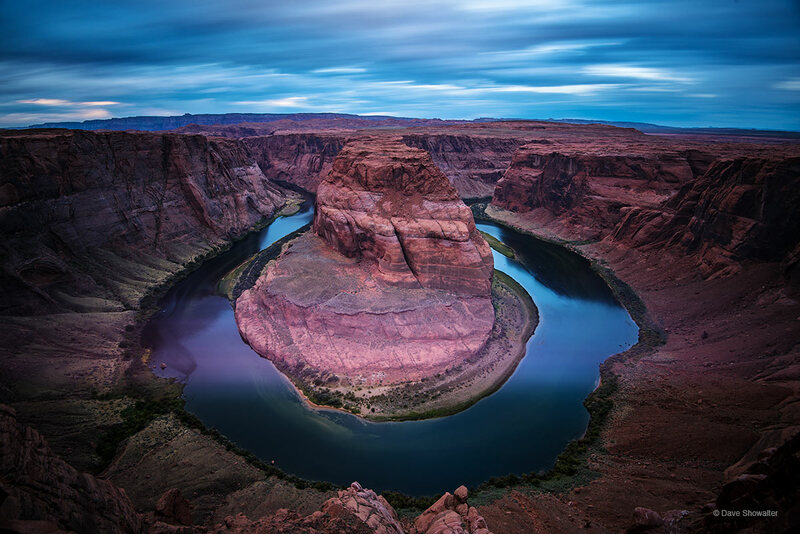 The mighty Colorado River carved an entrenched meander over millions of years to create Horseshoe Bend, a very famous river bend and tourist attraction. It's a stunning sight, a perfectly symmetrical turn. A long exposure added motion to the scene on a cloudy morning. Photo © copyright by Dave Showalter.